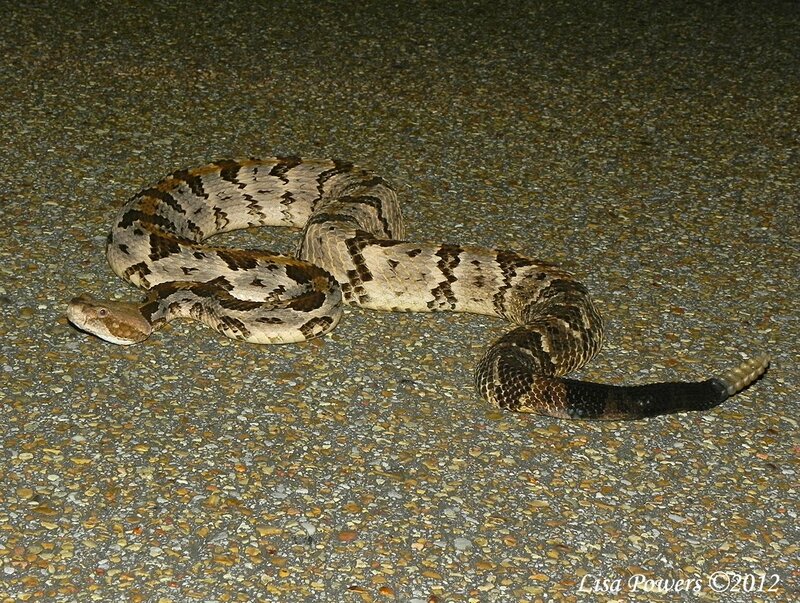 Description: Typical timber rattlesnakes measure anywhere from 36-58 inches (91-147 cm) in length with Klauber (1956) reporting the largest timber rattlesnake ever recorded to be 74 ½ inches (189.23 cm) collected near New Orleans, LA in the 1940’s. 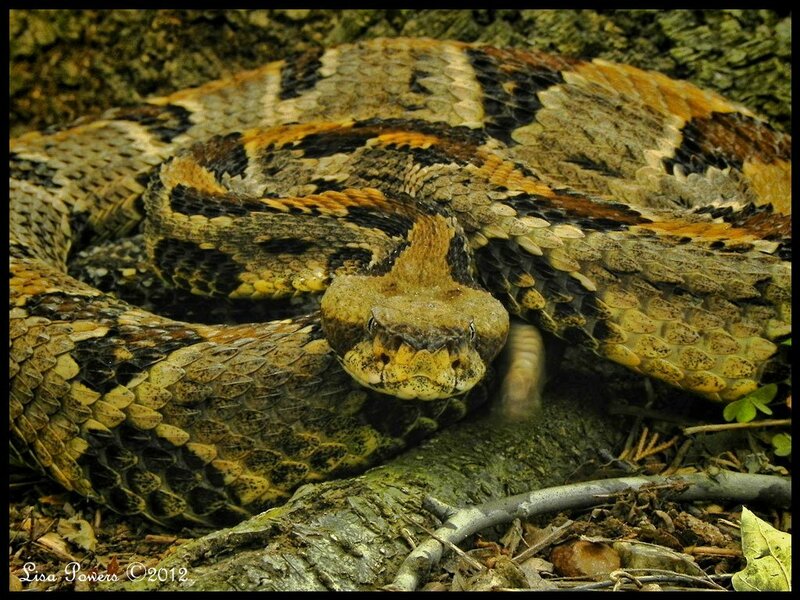 Timber rattlesnakes are the 2nd largest venomous snake found in the eastern United States. Despite their size, they use cryptic coloration and concealment as their primary means of defense. Another distinguishing feature for the species is the rattle. These snakes will typically shed twice a year. One segment is added to the rattle after each shed. 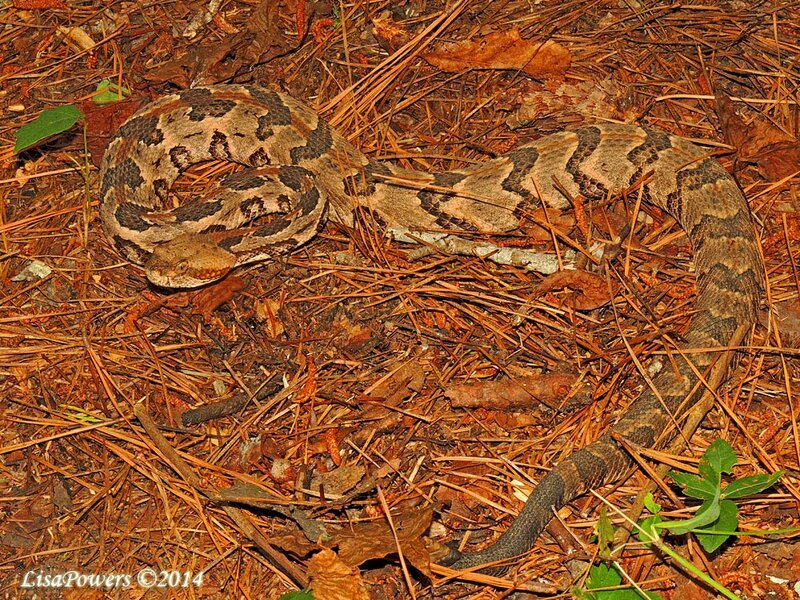 Habitat: Timber rattlesnakes in Tennessee prefer remote, rocky, wooded slopes. 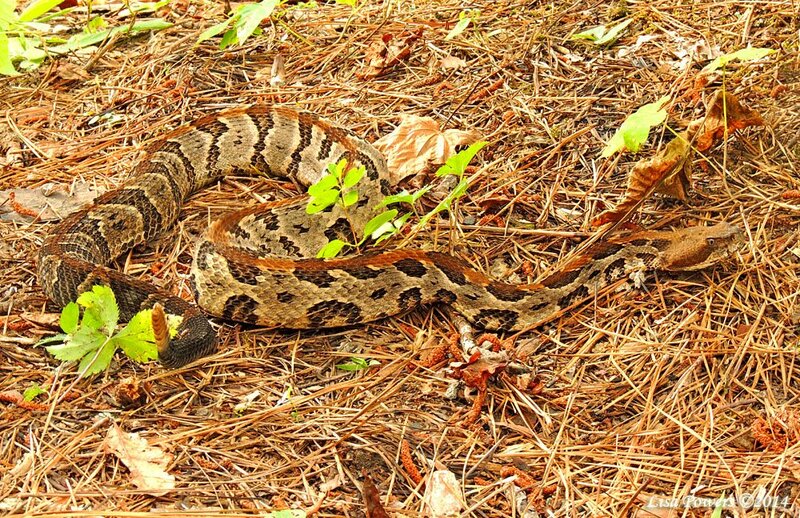 Life History: Timber rattlesnakes tend to have an active season from mid-March to mid-October. Snakes typically begin foraging at this time on small mammals like rodents. 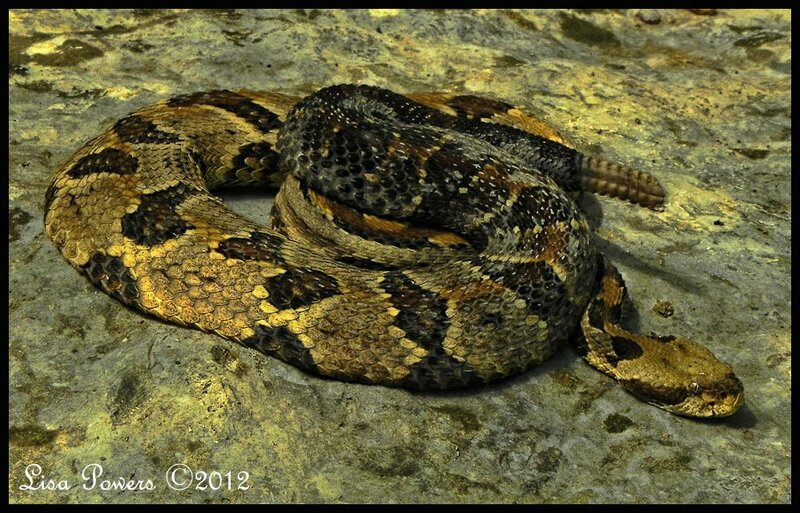 Timber rattlesnakes are described as sit and wait predators. They pick up chemical cues from prey and set up an ambush often on fallen trees or by game trails. Mating typically occurs from July to September with males establishing territories through ritualistic combat dances. 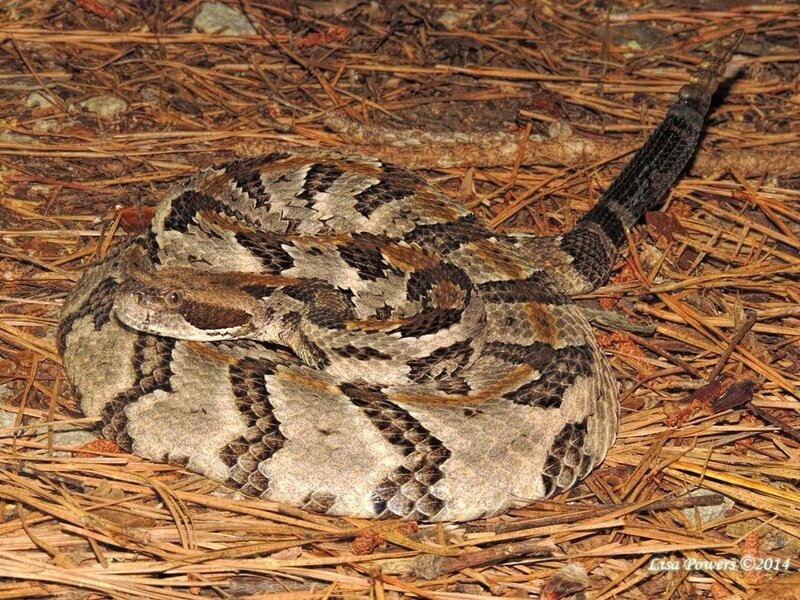 Females give live birth from mid-August to mid-October to a litter of typically 8-12 young rattlesnakes. Females sexually mature at 8 years of age and only reproduce every third year. Males sexually mature at an earlier age typically at about 5 years. Life span for the species maybe anywhere from 16 to 22 years which gives a female only about 5 reproductive events. 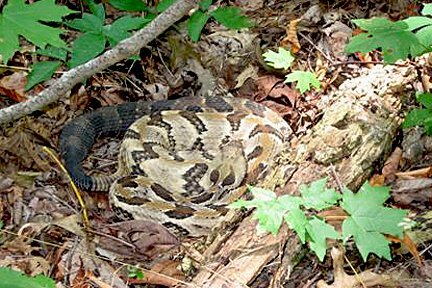 Timber rattlesnakes typically hibernate on southerly slopes with exposed rock seams and talus and surrounded by hardwood forests. 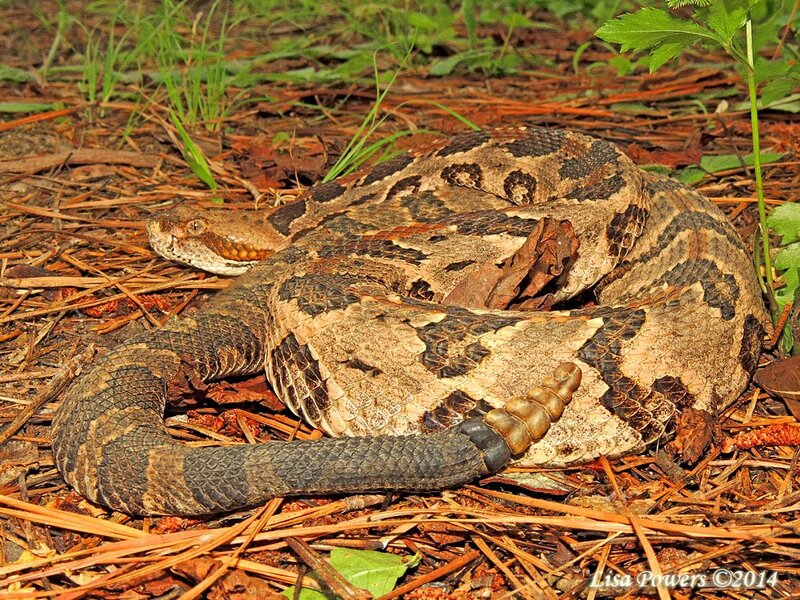 Range: The timber rattlesnake is facing serious threats throughout the United States. Originally found in 30 states, it has been extirpated from Delaware, Maine, and Rhode Island. The species is listed as endangered in Massachusetts, New Hampshire, New Jersey, Ohio, Texas, Vermont, and Virginia and threatened in Illinois, Indiana, Minnesota, New York, and Texas. 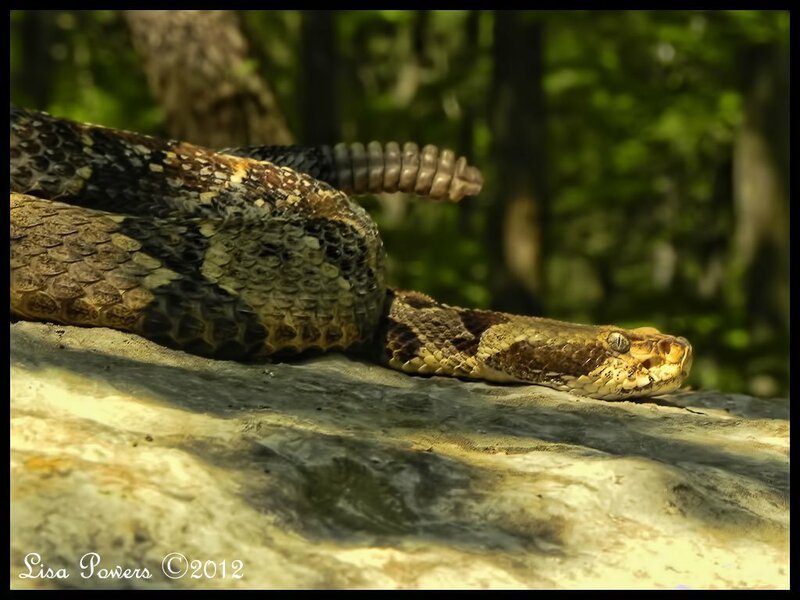 Timber rattlesnakes are protected in Kansas, Maryland, Oklahoma, Pennsylvania, and Wisconsin. It is protected from harvest in Tennessee and is listed as in need of management. 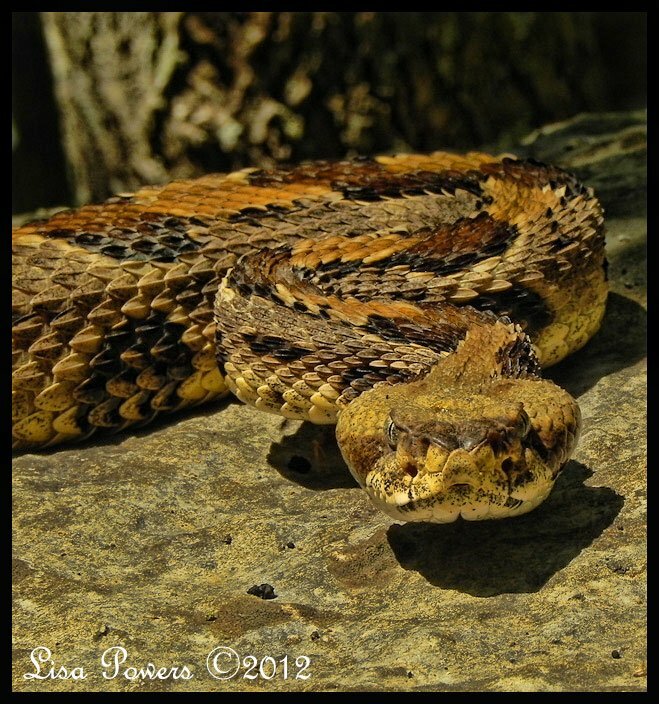 Timber Rattlesnakes occur statewide, persisting only in areas where human occupation and disturbance are minimal. 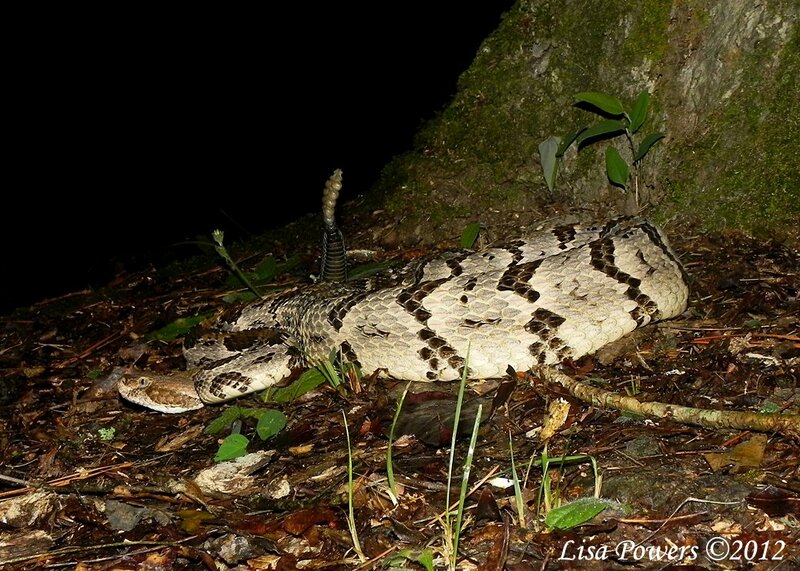 Additional Notes: The greatest threats to timber rattlesnakes include habitat destruction for development, poaching, and indiscriminant killing of individual snakes. 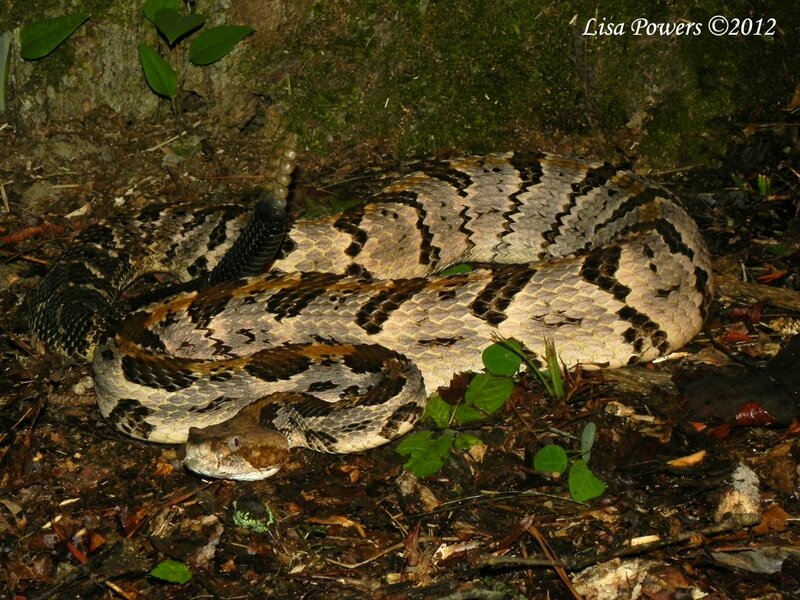 These snakes typically can not adapt to abrupt habitat changes and are not capable of surviving long distance translocations. Protecting existing populations is a must if the species is to survive. 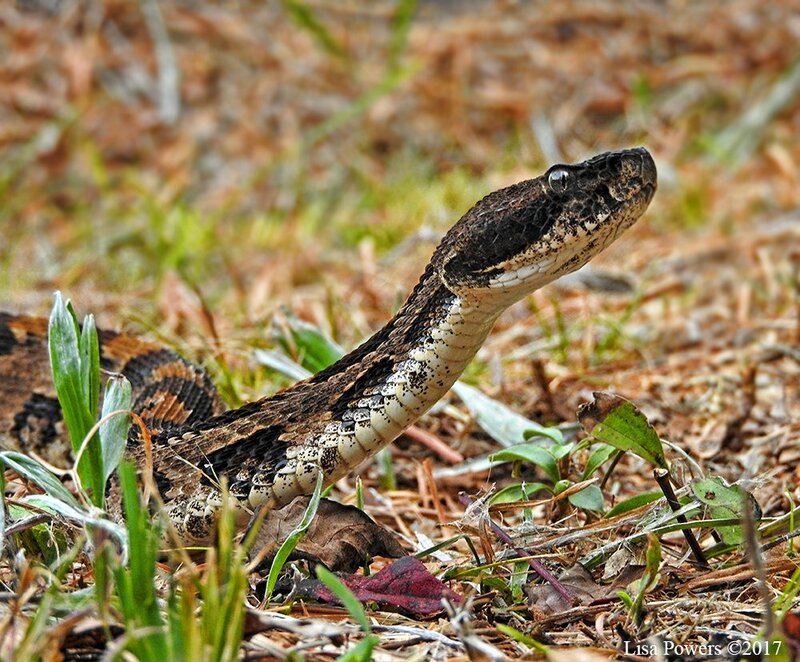 Rattlesnakes are typically a docile species, but will defend themselves if provoked. They are an important component of a healthy ecosystem keeping rodent populations under control. Rodents cause thousands of dollars worth of damage each year. They cause structural damage to buildings, removal of insulation from electrical wiring causing fires and damage to equipment and automobiles, and they can spread diseases such as bubonic plague and the hanta virus. It is very important we maintain our natural heritage and species diversity for future generations. 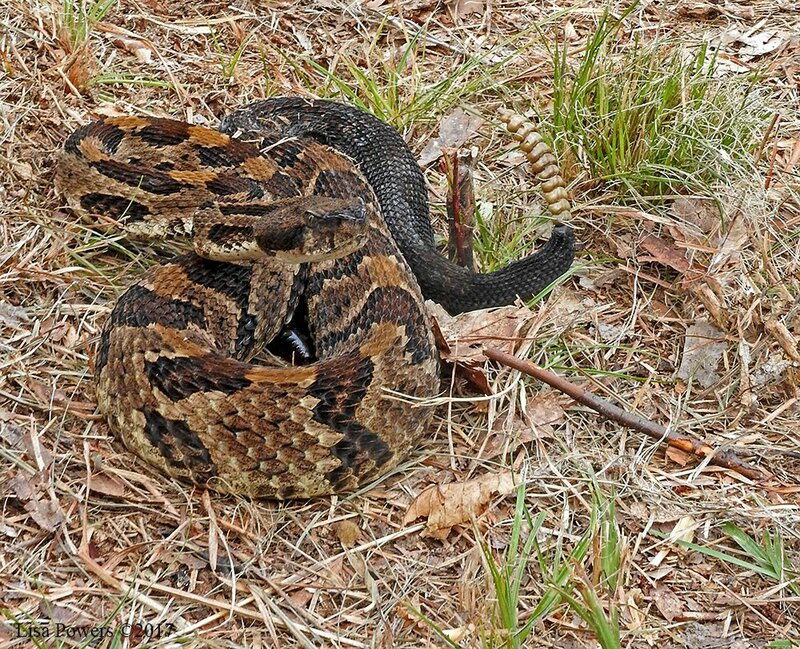 Behavior: When a timber rattlesnake feels threatened or irritated, the snake will vibrate its tail causing the loosely connected segments to make a buzzing sound. 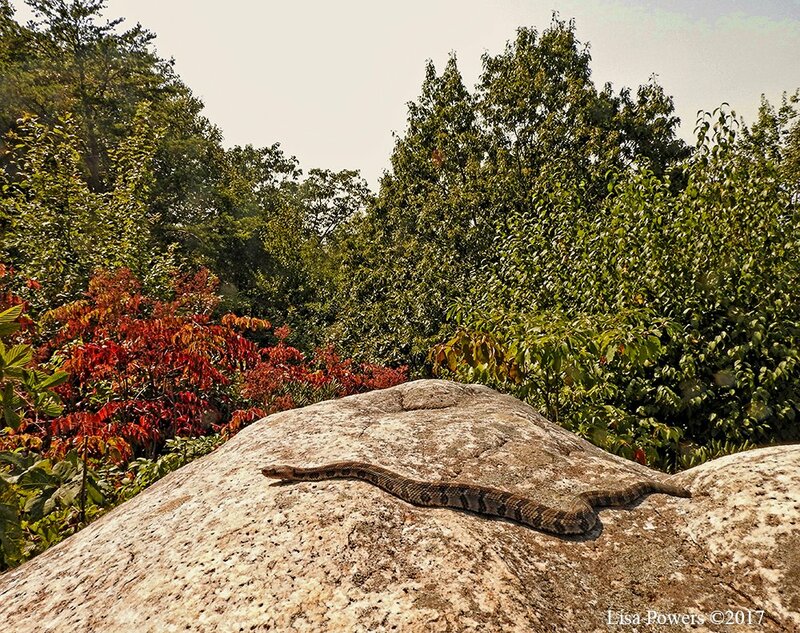 Many non-venomous snakes will also perform this trick, vibrating their tail tips in dry leaves making a similar sound. Rattles frequently break off, making it difficult to age a snake based on the number of rattles present. Subspecies Occurring in Tennessee: No sub-species are currently recognized.